Image appears double the size! These are the most common questions we receive every day. The first step in making sure that you know your monitor size is not to measure. Our experience has shown that measurements tend to lead to errors. If you recently bought your monitor, the monitor size should be listed on the Receipt or Packing List. If this information is unavailable, look on the back of the monitor for the Model Number. After finding the Model number, either look up the Model number on the manufacturer’s website, or just type it in to your favorite search engine. You should find out the model number right away. If you need any assistance in looking up your monitor size, please feel free to contact us by clicking here. 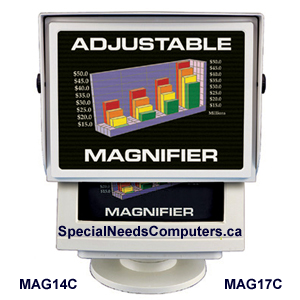 Filters are designed to properly fit the appropriate monitor size. Once you know your monitor size, you should feel comfortable ordering the filter specified for that size. If you wish to confirm that the filter you wish to purchase will fit properly on your screen, please measure as follows. First measure the Diagonal of the screen (not including the frame around the screen, just the visual screen). This diagonal should match the stated size of the Filter (i.e. a 17” Monitor will have a visual diagonal of 17”). Next, measure the visual height and visual width of the screen. This should match the dimensions listed on the product page for that filter on our website. If you have any questions, please feel free to contact us by clicking here. Please use the illustration below as a guide on how to measure. IMPORTANT NOTE: Recently, many PC manufacturers have introduced new widescreen displays (16:9) with a slightly different "Aspect Ratio" than traditional widescreen displays (16:10). Aspect Ratio refers to the relationship (or "ratio") of the width and height of the display. 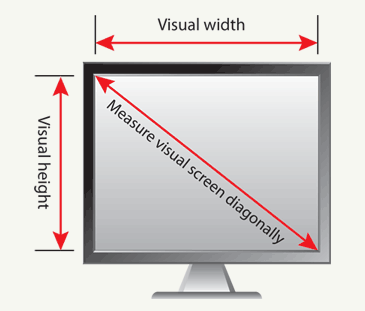 To ensure the proper fit for your screen, we recommend measuring the viewable height and width of your screen and confirm your measurements against the dimensions listed on the product page when purchasing Frameless Filters for Widescreen Monitors. If you still have an older CRT Monitor (those are the bulky monitors with the long protrusion in back of the monitor housing the CRT tube), please do not measure your screen, as these monitors are sized differently. We recommend looking up the Model Number on the back of the Monitor, and either look up the Model number on the manufacturer’s website, or just type it in to your favorite search engine. If you need any assistance in looking up your monitor size, please feel free to contact us by clicking here. Filters are designed to properly fit the appropriate monitor size. Once you know your monitor size, you should feel comfortable ordering the filter specified for that size. Contact us here if you have any questions.